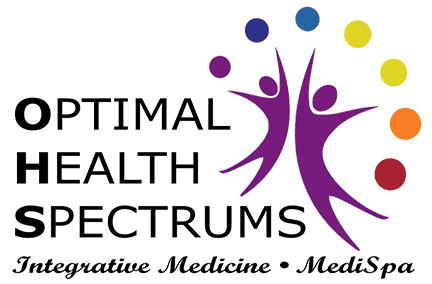 Having an optimal weight is very important for optimal health. Being overweight or obese is associated with many major health problems. The new term that has been coined is “Diabesity,” because having too much body fat causes pre-diabetes, which has also been called Metabolic Syndrome. It is all caused by eating the wrong foods and not getting enough exercise, although diet is about 80% of the cause and lack of exercise is about 20% of the problem. 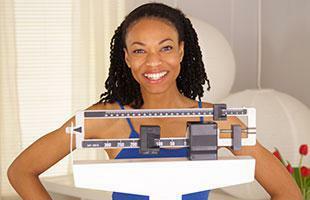 How do you know if you are at the right body weight? The BMI is not a very accurate measure for many people. Some researchers have suggested that the WHR or Waist-Hip Ratio measurement is a more accurate measure of health risks based on being obese. They prefer this test because it takes into account the distribution of fat through the waist and hip area, where we store the majority of our fat. Fat can be stored as abdominal fat (an “apple” body shape) or around the hips (a “pear” body shape). People who carry their excess fat in their hips are considered to have less of a risk factor than the abdominal obesity people. 1. 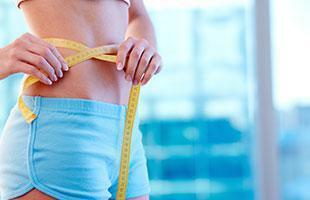 Measure your waist circumference at the belly button. Hold the tape measure straight. 2. Measure your hips at their widest part, that is where your buttocks peak. 3. Divide your waist by your hip measurement. For women, ideal is a WHR of 0.8 or less. For example, a woman with a 29 inch waist and 36 inch hips just makes the cutoff. For men, ideal is a WHR of 0.95 or less. A man with a 34 inch waist would be “ideal” with a 36 inch hip measurement. Our bodies need sugar (glucose) as a fuel for our cells to perform their daily cellular functions. When we eat sugar or foods that are broken down into glucose such as high-glycemic carbohydrates, our body’s digestive process puts that glucose into the bloodstream for the cells to collect and utilize. The cells rely on the pancreas to monitor the blood levels and to alert them when glucose is abundant. The pancreas does this by secreting insulin which circulates through our bodies delivering the message to the cells of glucose’s presence. In perfect balance, when we eat carbohydrates and produce glucose, the cells use it up as energy and there is little left over. Over the course of years as we get older, become more sedentary, and our diets become “sugar loaded,” we process more glucose than our cells can use and the excess floats around in our blood, or is turned into fat in the cells. Exercise helps decrease insulin resistance, but it is essential to stop eating high glycemic index foods, like white flour and sugar. If this disease process is not treated, it will result in Type 2 Diabetes, with all the increased health risks associated with that. If dieting and exercising on your own aren’t working for you, consider trying the HCG diet at our clinic. This diet is highly effective at helping people lose weight and achieve optimal health, and has been shown to even reverse Type 2 Diabetes.